Orangebox provides web clients with the very best in Web Hosting Services and the ‘HTTPS’ protocol is fully supported with our ‘Platinum’ Web Hosting Account. Clients with a Platinum account can take advantage of the security benefits to be gained by using the latest HTTPS protocol. HTTPS consists of communication over Hypertext Transfer Protocol (HTTP) within a connection encrypted by Transport Layer Security, or Secure Sockets Layer. HTTPS creates a secure channel over an insecure network. An encryption layer is applied by the web browser protecting the content of the communication from ‘eavesdroppers’ and ‘man-in-the-middle’ attacks. A valid SSL certificate issued by certificate authorities correctly identifies the website. Newer browsers know how to trust HTTPS websites and display security information (a green ‘padlock’ icon) in the browser address bar. As Google continues to favour websites using HTTPS with a trusted SSL Certificate by giving them a slightly higher page rank, there is a definite SEO advantage to using the latest HTTPS protocol for your web hosting. 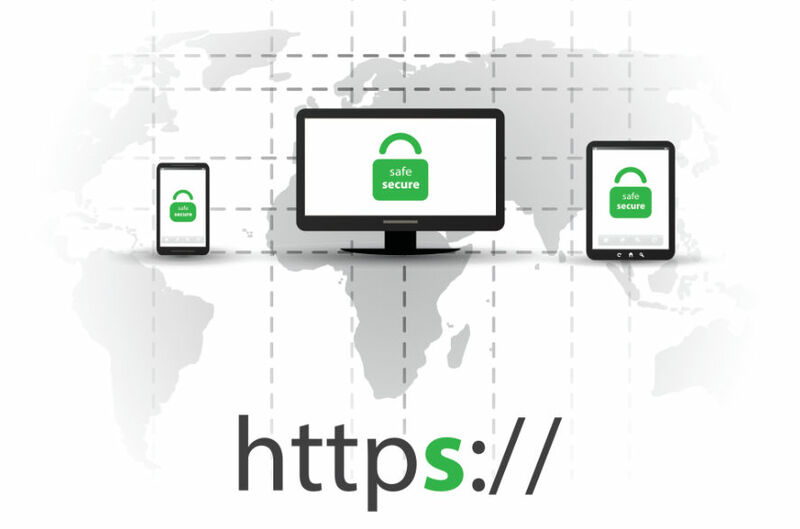 Google wants everyone with a website to make the switch and use HTTPS sooner rather than later. For all of these reasons, all of our new WordPress web design projects – from April 2017 onwards – will be hosted with a Platinum account as standard. We are actively encouraging our clients with Gold Web Hosting accounts to upgrade to Platinum for improved security. We are making sure the changeover from the older ‘HTTP’ to the latest ‘HTTPS’ protocol goes smoothly by providing full technical support and setting up the required HTTP-HTTPS redirects, making sure their are no browser errors or issues with search engines. We have already made some changeovers to HTTPS for clients wishing to improve the website security and have a trusted SSL Certificate. Read more about the cost of our Expert WordPress Web Design and Platinum Web Hosting.